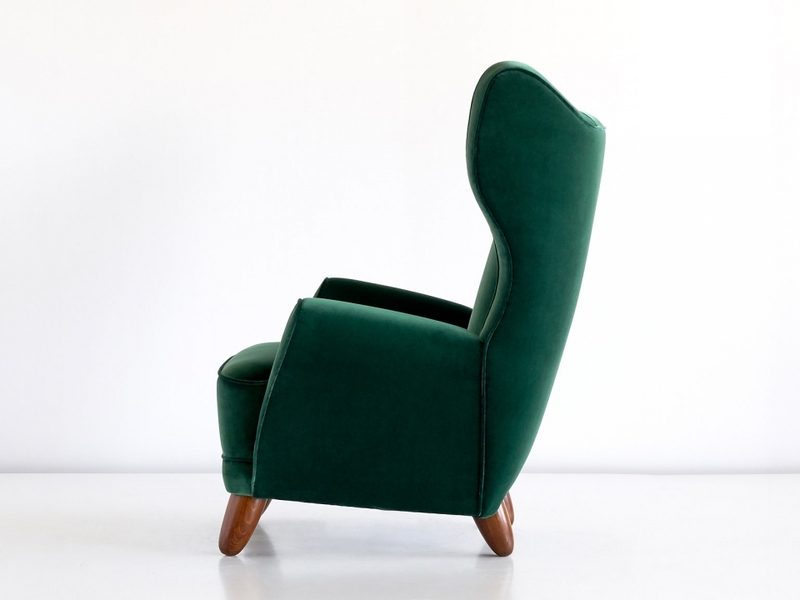 This sophisticated and bold chair was produced in Italy in the late 1940s. The organically curved lines and striking wooden legs create a sumptuous presence. The generous proportions and the inner springs placed in the high back and seat make this a very comfortable armchair. 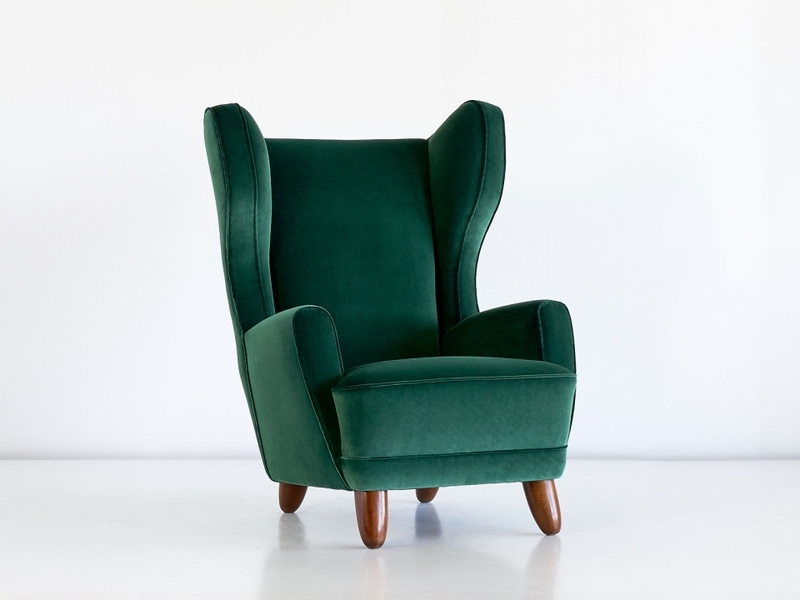 The chair has been fully reconditioned and reupholstered in a luxurious green Rubelli velvet. Biography: Guglielmo Ulrich (1904 - 1977) is a seminal figure of Italian design, born in Milan to a family of noble Danish descent. He was inspired by 18th and 19th century designs but combined this interest with a wonderful understanding of material and simplicity in form and function. The elegance and boldness of Ulrich’s designs is reminiscent of the work of his European contemporaries such as Carlo Mollino, Gio Ponti and Jean Royère. His idiosyncratic designs make Ulrich a main protagonist of Italian design of the 20th century. Condition: Excellent. 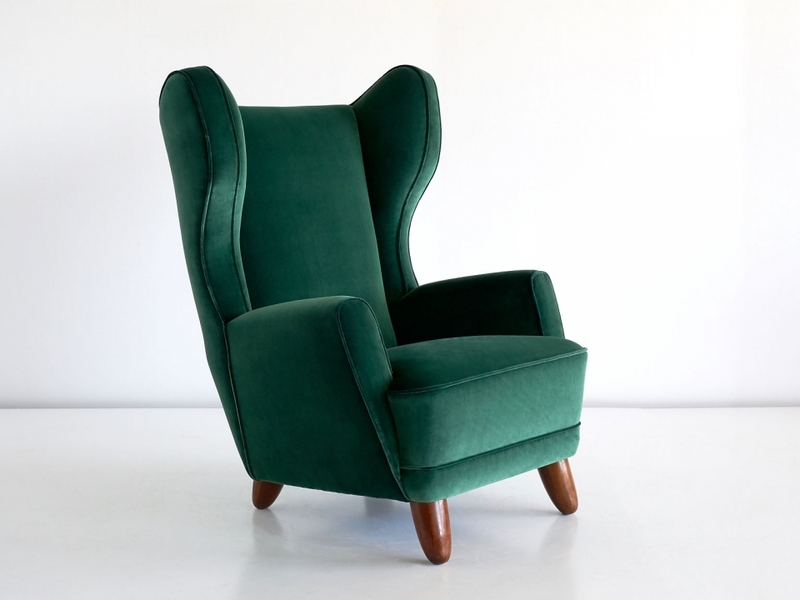 The chair has been professionally restored, fully reconditioned and newly upholstered in a green Rubelli ‘Spritz’ velvet.